It took me a while to make up my mind whether I should write about this Gitzo service experience or not. But then I said to myself that probably all of us are already getting used to bad customer service, and it might help others with their decision making. While it was possible to use the tripod with some precaution for the rest of the trip, the tripod was no longer stable and I wanted to get it fixed by replacing the defective part. Gitzo is not a cheap brand, so this should be easy, right? Especially since their logo states: “focus on forever”. A bold statement. On February 23, 2014 I tried to access www.gitzo.at and was redirected to www.gitzo.com. I clicked on “service -> service & repair” where I would have expected to see a list of service providers for Gitzo products. No, instead you are presented with a tool allowing you to figure out the spare part number by looking at an explosion drawing of your product. Okay, let’s search for my product, a “3540LS”. No results found. Perhaps the formal type “GT3540LS”? No results found. Hmm… perhaps only “3540”? Finally, two results – unfortunately my tripod is not among them, only the 3540 and the 3540L are shown. Being a knowledgeable customer (as is obviously a requirement), I knew that the only difference between the “L” and the “LS” version is the base plate and the absence of the center column. So I looked at the drawing of the 3540L and figured out that the part I want is called “D09504.32”. So, what next? I needed to figure out where I can place an order for the spare part. The Gitzo web site allows you to go to a country-specific site. Unfortunately Austria is not listed there, so I chose Germany, the next logical choice. Quite a few companies have centralized their support for the German speaking countries in Germany. On the Gitzo Germany site, they list a company in Berlin – AVC Service GmbH – as their authorized repair center for Gitzo products. So, on the same day, I sent them an email asking for the price and the delivery time of the spare part I figured I need. More than a week later, on March 3, I get a reply from AVC telling me I need to contact Slach in 1230 Vienna, as they are the Gitzo distributor for Austria. Interesting, as Slach is not listed anywhere on the Gitzo site, not even as of today. 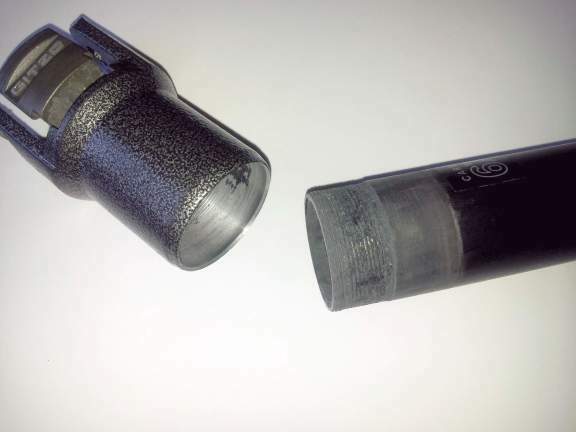 Next day, on March 4, I am sending email to Slach, again asking for the price and delivery time of the spare part. Two days later, I got a response with a price quote (EUR 135 – ouch!) and the expected delivery time (3-4 weeks). Well, this is still cheaper than buying a new tripod, so on the same day I placed the order for the spare part. I did neither receive a reply nor an order confirmation. Six weeks later, on April 18, I was emailing Slach for a status of the order, and got a reply on the next day that 6-8 weeks delivery time was not unusual and that the delivery was expected for the next 1-2 weeks. Again, silence afterwards. On June 20, two months after my prior inquiry and four months after placing my order, I finally canceled my order with Slach. I did express my frustration about the delivery time, and especially about the fact that since placing my order, I never got any status update from their side. At this point it did not even surprise me that they did never reply to my cancellation. No apology, no attempt to fix the issue, nothing. They were probably happy to get rid of an annoying customer. What really ticks me off in this case is the combination of a company with a self oriented (and not customer oriented) Internet presence and the inability to deliver spare parts in a timely manner, combined with a local distributor who does not care about customer satisfaction. Whether this was for lack of profit in this specific case or in general, I cannot say. I have spent a lot of money on this and prior Gitzo tripods and honestly, I expect more than simply being ignored when I contact their authorized dealer for support. This was definitely not the Gitzo service experience I expected. 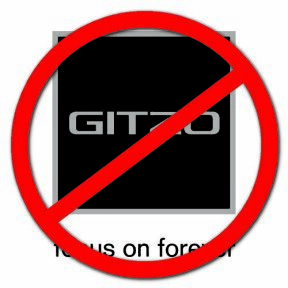 Personally, I will no longer purchase Gitzo equipment in the future. The GT3540LS was my fourth Gitzo tripod, but definitely the last one. I have temporarily fixed the broken leg using two-component adhesive, but if it breaks again, I will turn to a different brand. I will simply vote with my wallet. For my Micro Four Thirds cameras, I am currently using a Feisol CT-3442 RAPID Tournament model which I am very satisfied with. It has a very good price/performance ratio, and it is light and versatile. As a replacement for my Gitzo GT3540LS, I would probably use the Feisol CT-3371 or CT-3471. I had the opportunity to test the CT-3371 together with their UA-180 gimbal head during a workshop. Really, I would be very happy to use the combo in the field. As an added benefit, the combo is cheaper than a new Gitzo tripod alone. The part I don’t get is that companies don’t understand that especially in times of a challenging economic environment, good customer service experience will make all the difference and lead to loyal customers. And it is actually not that hard, or is it? What is your opinion? Did you have a similar Gitzo service experience? Let me know in the comment section below. I have posted my experience on Gitzo’s Facebook page. They replied within less than a day, below is their response which you can also read here on Facebook. They must have read my post, because they refer to the specific spare part number I mentioned above. I will keep you posted on what happens next. I have received the spare part for my Gitzo tripod with FedEx, and it is the correct part. That was quick, especially considering shipment from the UK. The one open question is whether I am being charged for the spare part or not. Honestly, I don’t know. With the spare part, they sent me a customer sales invoice with a 30% discount (for the delay? I don’t know? ), payment terms 30 days net. On the other hand, there is no bank account number or any other description on how to transfer the money (for example, via PayPal). So, I will again get in contact with them and keep you posted. P.S. The invoice has a web address printed on it: www.manfrottospares.com (also available under www.gitzospares.com). I can only recommend using this website if you are looking for a Gitzo spare part. It is straightforward, easy to use and I was able to find my exact tripod model GT3540LS in seconds. This site makes ordering a spare part very easy and honestly, this is how the spare part section on the Gitzo website should look like. The spare part prices are a different story, though. The net price for my spare part is EUR 141,41 – including shipping and VAT, I would have to pay EUR 188,45. I leave it up to you to decide whether this is worth it or not. The invoice has been attached wrongly, you don’t have to pay anything! We will cover for the spare part. Have a nice day and even nicer shots! In conclusion, it seems that there are people working for Gitzo who understand the value of customer service. Their Facebook support team was extremely quick and professional, for example. But at least in Austria, it might be worth considering whether their main distributor is the right company to represent their brand. But what finally counts, is a satisfied customer. And this is what I am at this point. My Gitzo service experience had a happy end. I am sorry to hear about your bad experience with Gitzo. They really do make good products. I rebuild gitzo, Manfrotto, Vinten, and Sachtler tripods. They are now all owned by the same company, Vitec industries. I have dealt with http://www.manfrottospares.com for many years now to buy parts. I find them to be very responsive and easy to work with. I prefer using them over firms here in the US. Good luck with your Feisol gear. Hello Ed, thank you for for your comment on my Gitzo experience! I had the same pleasant experience with the Manfrotto Spares website, I found it easy to navigate and place orders. I just hope that Vitec will put some effort into reorganizing the Gitzo website as well so it will become more customer friendly. To be honest, it would already help if they add a link to the Manfrotto spare parts page instead of keeping the dysfunctional Gitzo spare part navigator.